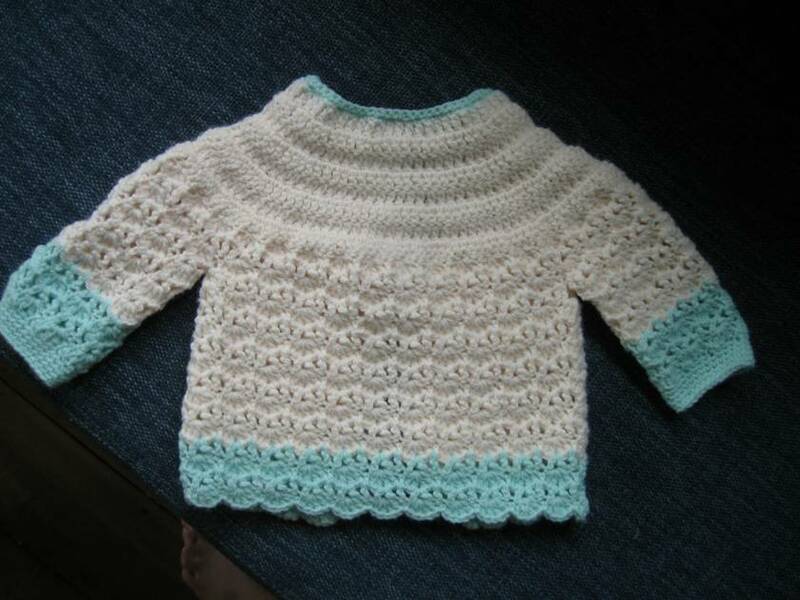 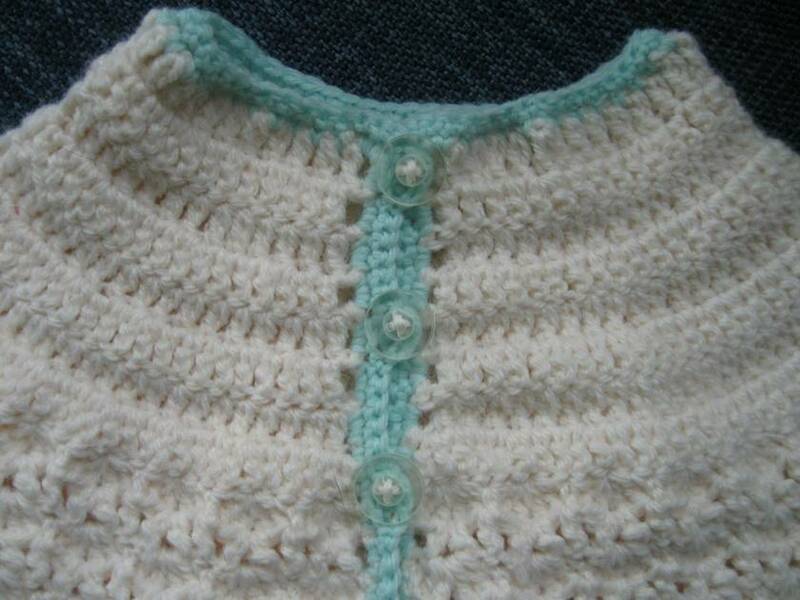 This cosy unisex baby cardigan is crocheted in soft machine washable double knitting- ideal for cooler climates. 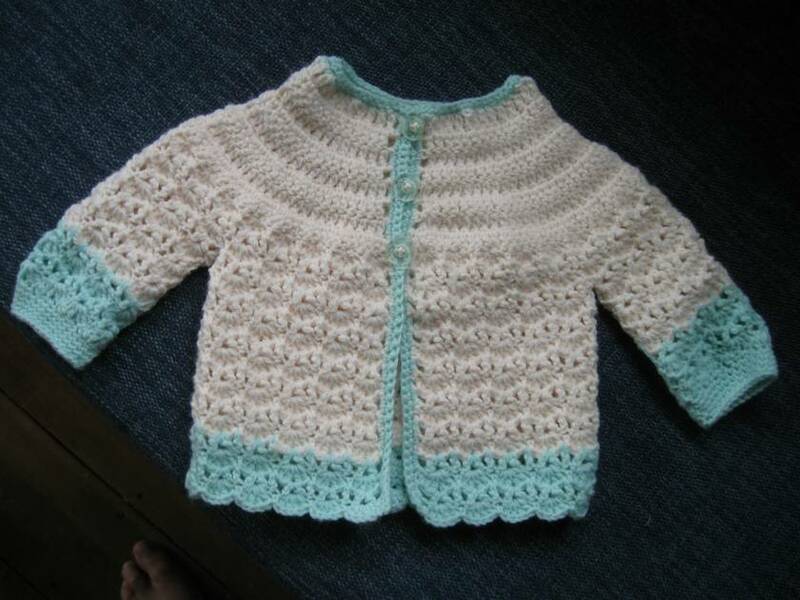 It will fit a baby up to 6 months with around 16" chest. 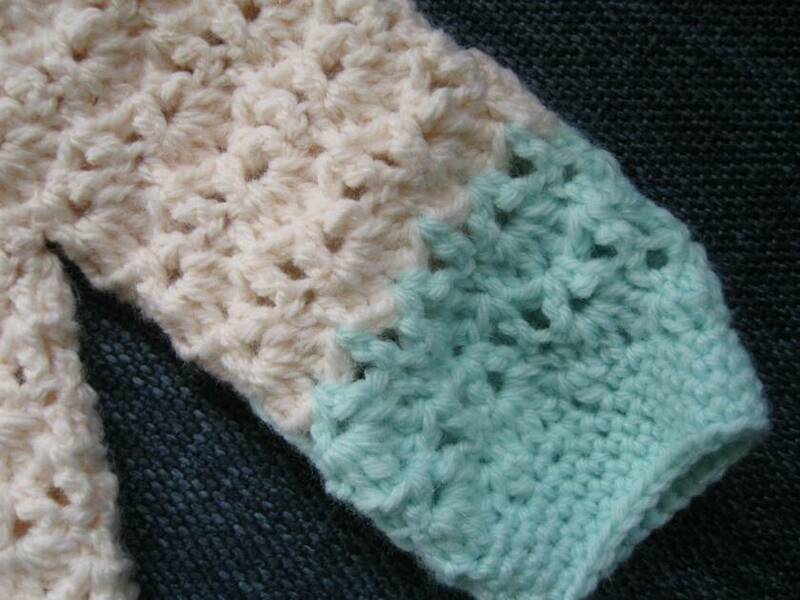 A lovely cream with turquoise borders.